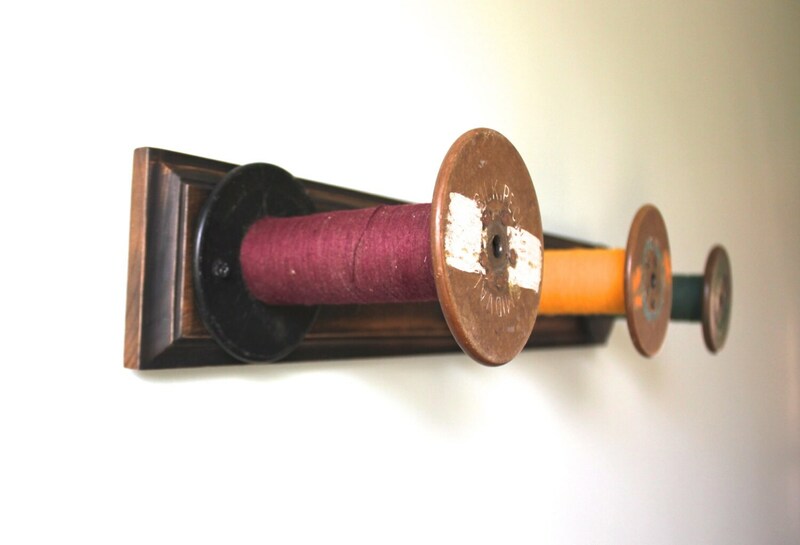 The three colorful wooden textile spools, with their original color thread, create a unique hanging rack to display your favorite accessories. 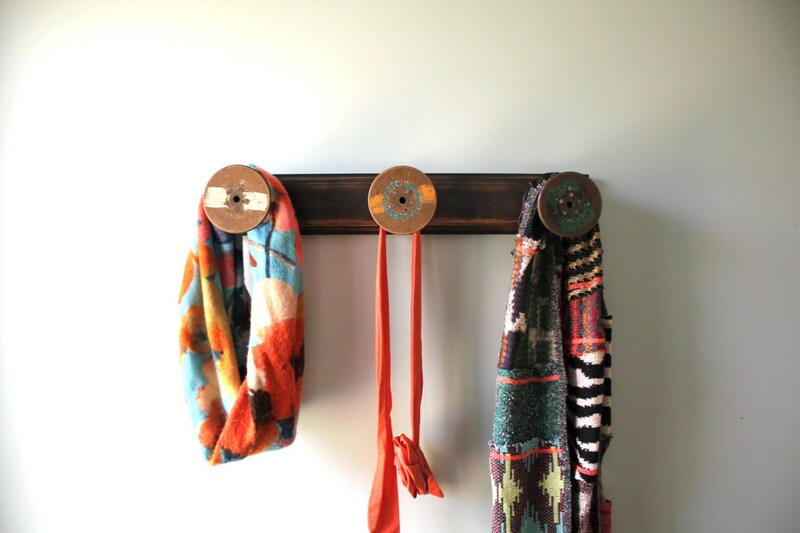 This rack has from left to right Berry Wine, Bright Mustard Yellow, and Hunter Green. A one of a kind up-cycled vintage piece. 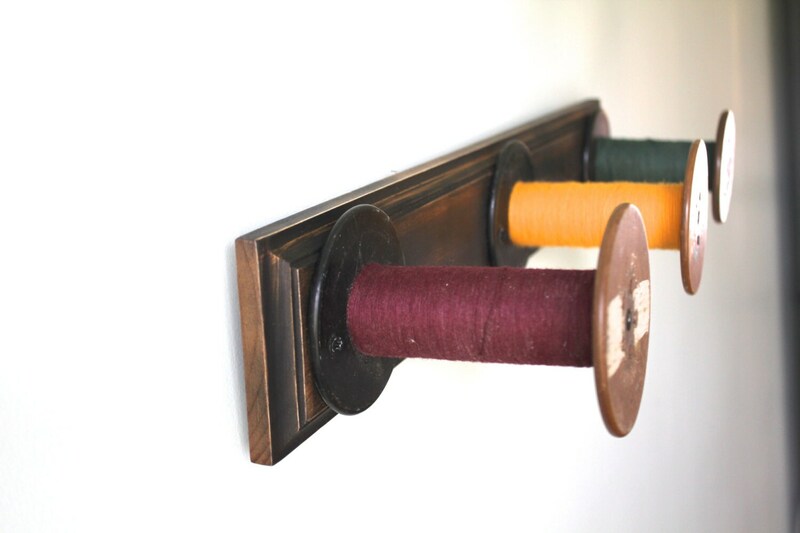 The background is a dark wooden distressed trim board. 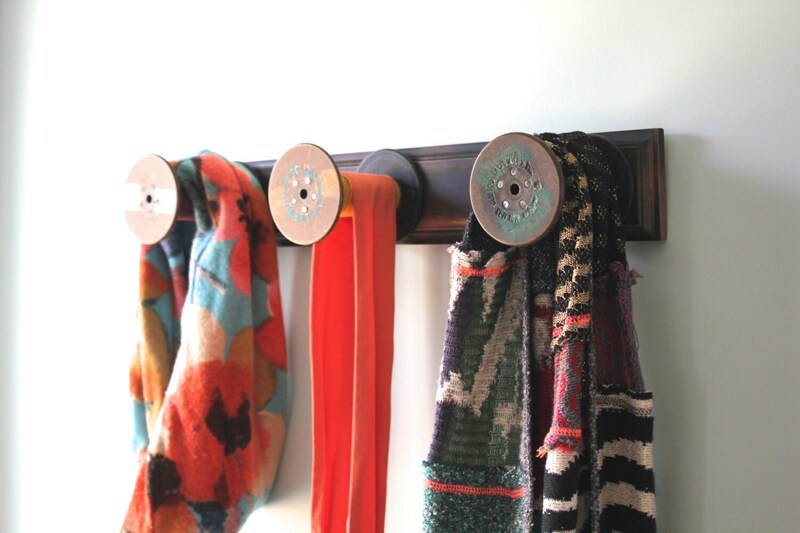 This unusual wooden spool rack is a great way to organize your scarfs, necklaces, headbands and more. A wonderful abstract art storage piece. 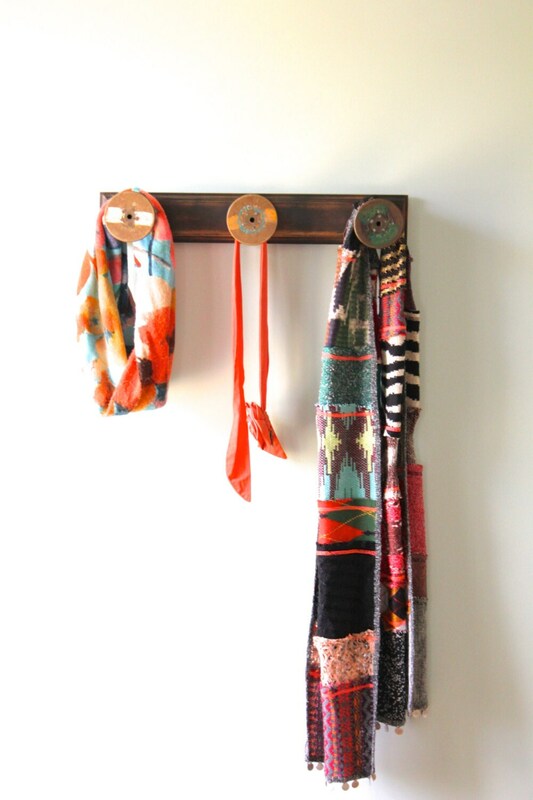 Makes a colorful bathroom addition or a classic studio organizational piece. Jewelry and accessories for display only. Will ship within 1-2 business days.